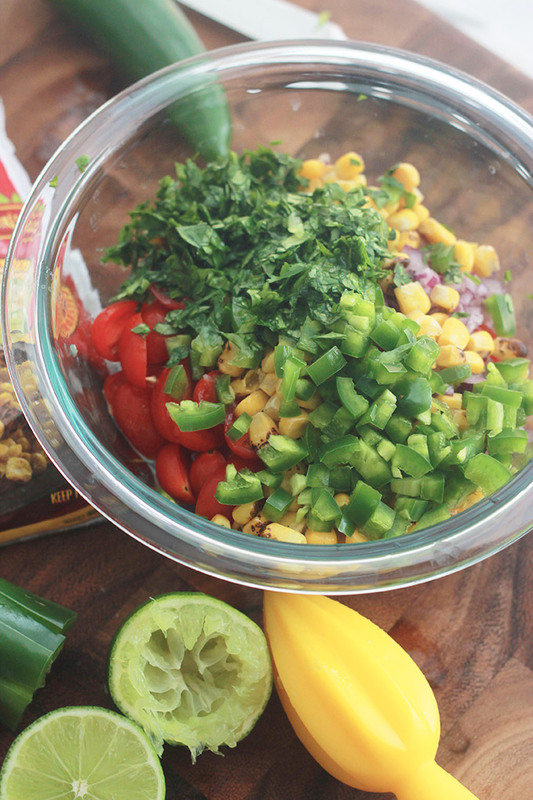 Fire-Roasted Corn Pico Style Salsa – Sweet fire-roasted corn, plump juicy grape tomatoes, red onions, jalapeños, with a fresh squeeze of lime. Growing up my father planted corn in our backyard vegetable garden. As a child shucking corn was a chore I would get excited about, I called it pulling silky hair from the corn. A necessary chore for enjoying sweet juicy corn. I remember eating corn on the cob with juice running down my arms, but another favorite was having it charred and sauteed. My mom would always do this in a cast iron skillet. What a delicious memory. 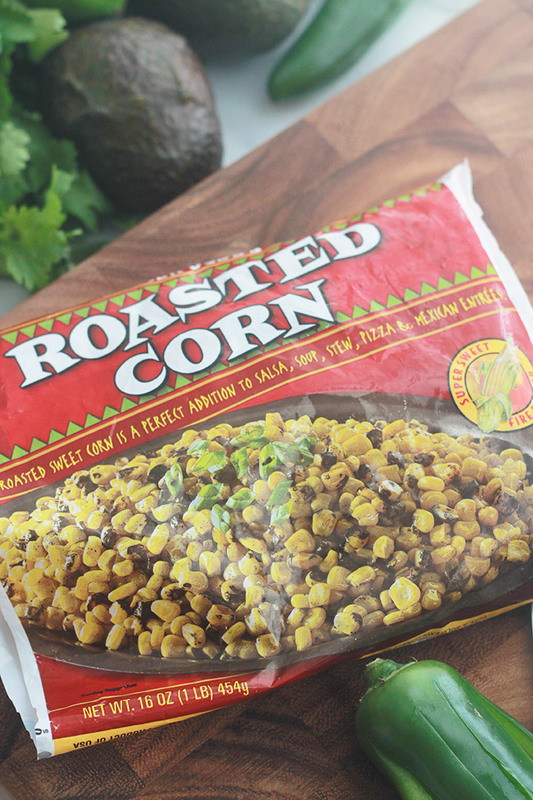 Lucky for me, I found this bag of fire-roasted corn at Trader Joe’s and I’m loving it. I’ve been using it on pizzas, salads, in rice and soup dishes, and in this quick and easy salsa. 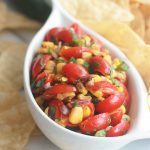 I absolutely love salsa and I usually enjoy it saucy style, but there are times when a chunky pico style salsa can be more satisfying and filling. A few minutes of chopping and mixing and you’re all set. 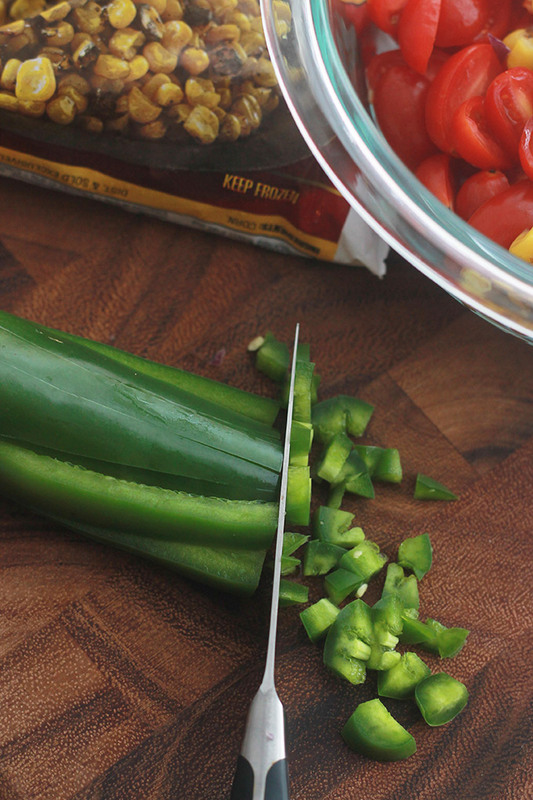 A quick tip for slicing jalapenos is to slice vertically, shake out the seeds, then slice horizontally. 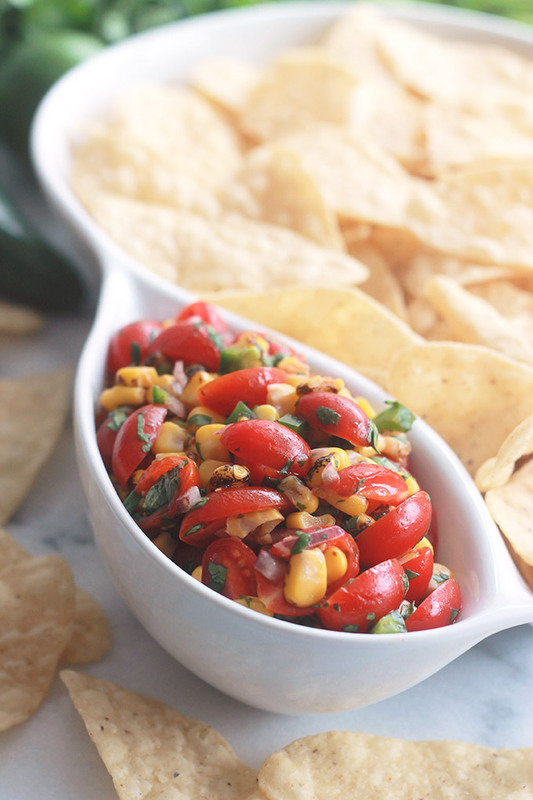 Homemade salsa is far better than what you get jarred at the grocery. Let’s face it, fresh makes it better. If you would rather have it saucy, simply blend everything except the corn in a food processor or blender to desired consistency, transfer to a bowl and mix in the corn. 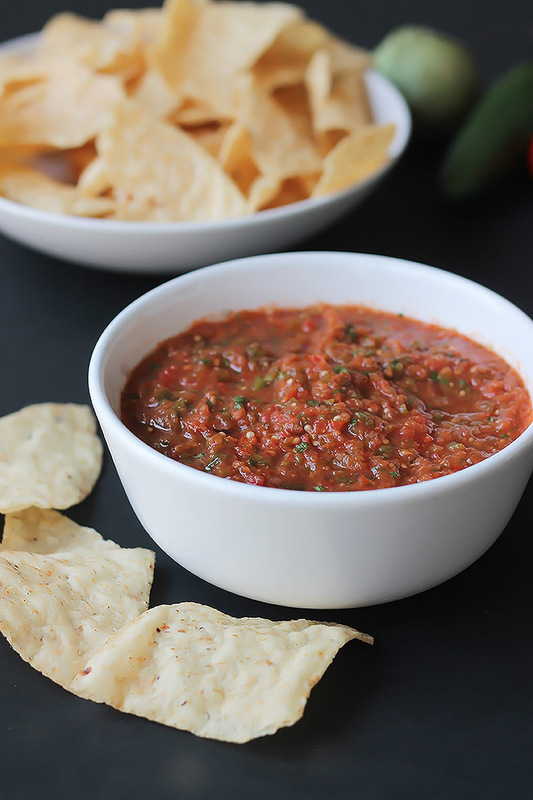 Salsa is usually served as an appetizer, snack or condiment. But if you’re not careful you might find yourself eating this whole thing as a main dish. Yes, it’s that delicious. If you make this recipe or a version of it, take a picture and share with me on Instagram, tag it #thewholeserving or leave a comment below. 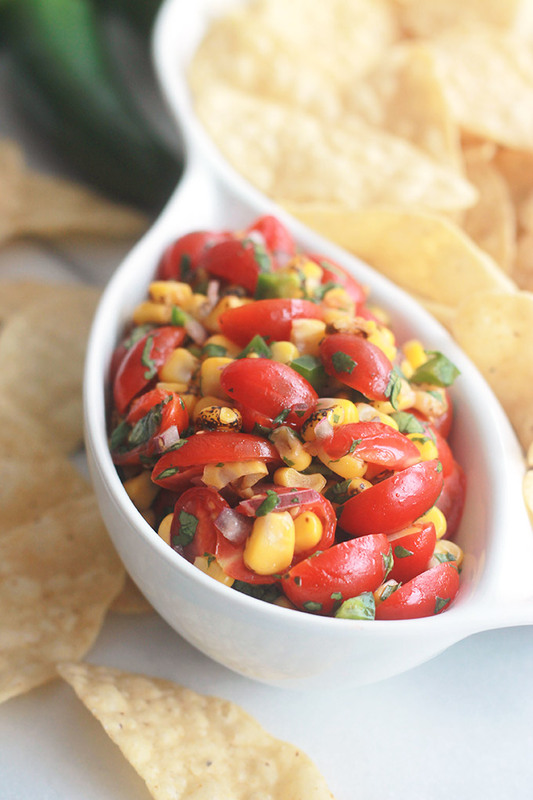 I’d love to see or hear about your version of this Fire-Roasted Corn Pico Style Salsa. What kind of salsa do you prefer? Saucy or Pico Style, leave a comment below. If you like this, you may want to give these a try. I love anything with corn! Eating on the cob brings back good memories for me too. 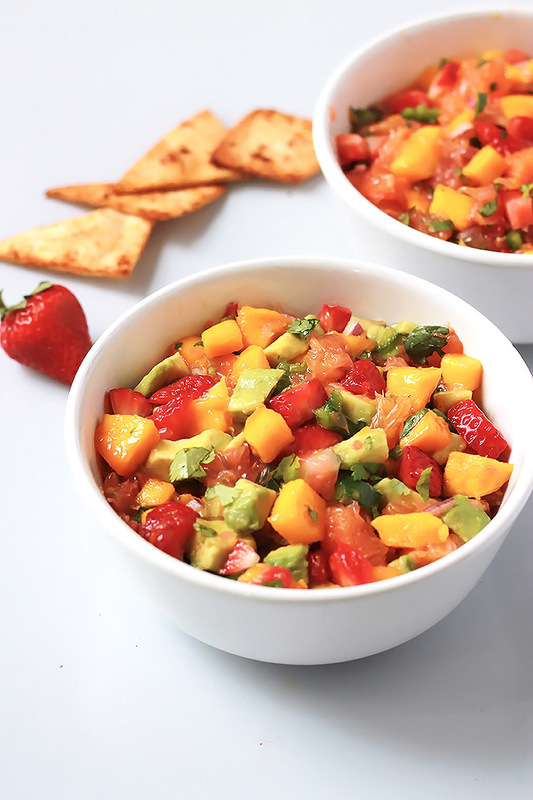 This pico sounds incredible and is making me yearn for summertime! Thanks Sarah, It’s amazing how food can bring back sweet memories. 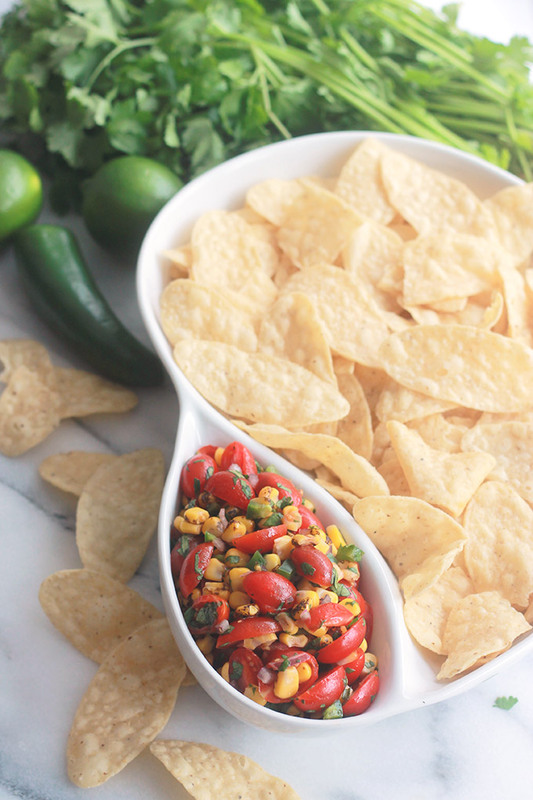 I’m pretty much always looking for a reason to eat chips and salsa so this recipe is calling my name! I love the addition of corn. Yum! I know what you mean Allison. There are days when chips and salsa serves as my meal. Love this recipe and your step by step instructions make me feel like I’m in the kitchen with you. 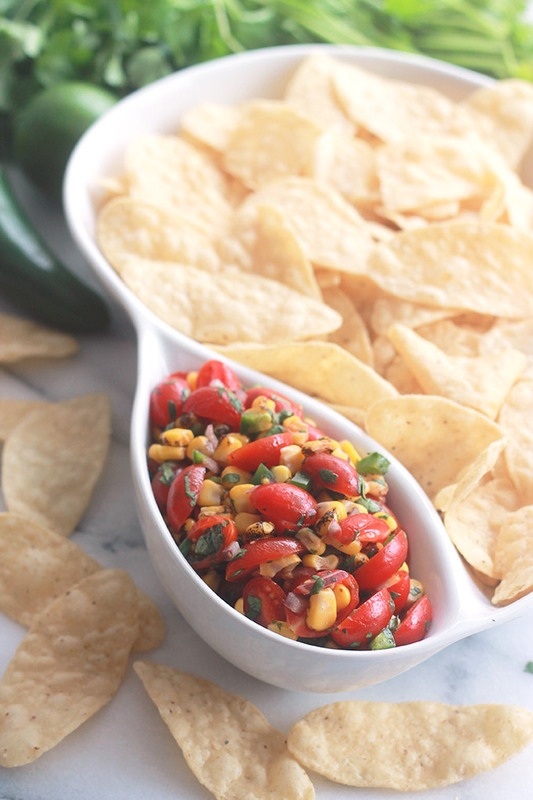 One of the better salsa recipes I’ve come upon and am pinning it for later. Thanks Debbye, it’s good to know the steps are helpful. Enjoy! Looks so delicious and colorful! I simply love Mexican appetizers! Thanks Natalie, I hope you have a chance to give this one a try. I love the inclusion of fire roasted corn. I often charr my own corn and it just has so much flavour doesn’t it. It’s amazing the flavor it gives. Makes all the difference in the world. You got me at fire roasted that is the best way to cook veggies in my opinion. And your salsa really looks amazing. Perfect snack or appetizer! Yeah, fore-roasted is a wonderful thing. Thanks Adriana. Saucy and pico style – I’ll take either! I also love adding fresh lime to salsa. This looks great as a quesadilla topper! This stuff is pretty amazing, just had with quesadillas last night. Thanks for your comment Nicole. Ah, this looks so good. I actually wanted to make a corn salsa for my kids lunches this week and with a tiny tweak to omit the jalapeño I think this recipe would be perfect. Yeah, omitting the jalapenos would be a good thing for young kids. I hope they like it. Thanks for stopping by Aimee.